The Australian Tattoo Expo is returning to Perth from Friday, September 14 to Sunday, September 16 for a massive weekend of tattoos, art and entertainment. 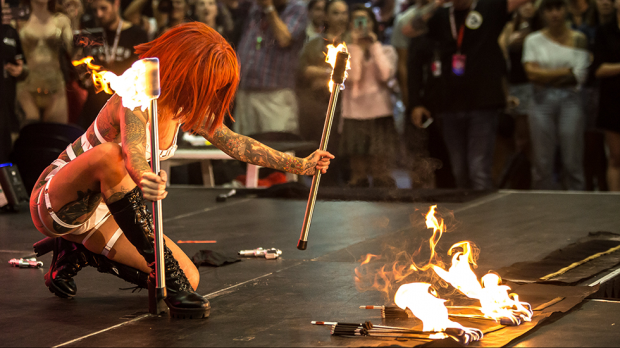 Proudly presented by Australian Tattoo Events, the biggest tattoo event in the country is bringing the most talented local and international tattoo artists together under one roof at the Perth Convention and Exhibition Centre to showcase their work. For more info check out our guide HERE. We are stoked to be able to offer 4 double passes to the Australian Tattoo Expo opening September 14. To enter simply email us here at win@xpressmag.com.au with TATTOO EXPO in the subject line then tag the mate you want to take on the Facebook or Instagram post. Don’t forget to like the X-Press Facebook page and sign up to the newsletter to be in the running! Competition closes Tuesday, September 11 at 9am. Please only enter if you can attend. You must be a Perth, WA resident and able to attend the event.